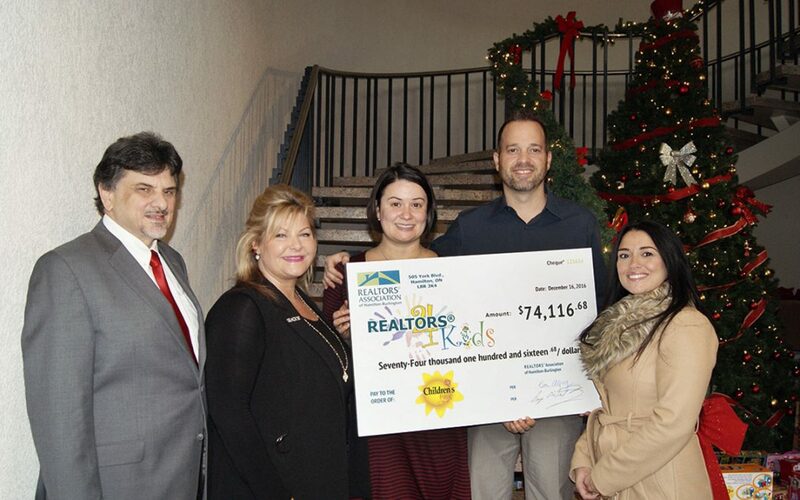 Members, sponsors and friends of the REALTORS® Association of Hamilton-Burlington (RAHB) showed their generosity and community spirit this holiday season by raising $74,116 for the 900CHML/Y108/Fresh Radio 953 Children’s Fund. The funds were raised at the recent REALTORS® 4 Kids Charity Auction, held annually to support The Children’s Fund. Proceeds from the partnership between RAHB and the CORUS radio stations support many children’s charities throughout the Hamilton and Burlington areas year round. The Children’s Fund Campaign began in 1976 as a charitable initiative to help raise money for disadvantaged children during the holiday season. Over the 28 years of the partnership, RAHB’s annual auction has raised over $1,014,000 for the charity, making RAHB its single largest contributor. The Children’s Fund offers assistance to over 40 different charities each year. Photo caption (above): Marlene Vieira Leslie Chair and Deborah Coles Vice Chair of the Charity Auction Task Force and 2017 President Elect Lou Piriano, present Jeff Storey President and Olivia Mackay Vice President of The Children’s Fund a cheque in the amount of $74, 116 from the proceeds of the REALTORS® 4 Kids Charity Auction.